Pinta Maguire is a partner at Neinstein Personal Injury Lawyers in Toronto. She brings the unique experience of having represented both plaintiffs and defendants in medical malpractice cases. Prior to joining the plaintiff’s bar, she practiced at a leading Toronto law firm renowned for their work in commercial litigation, class actions and defence of medical malpractice. 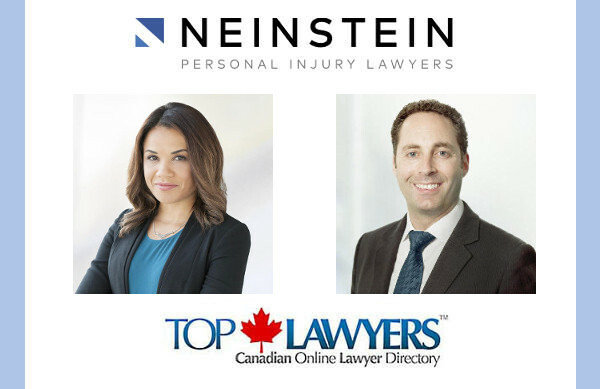 Daniel Michaelson is also a partner at Neinstein Personal Injury Lawyers in Toronto. Daniel has represented personal injury clients in cases related to motor vehicle accidents, general negligence, occupier’s liability, medical malpractice, and product liability.